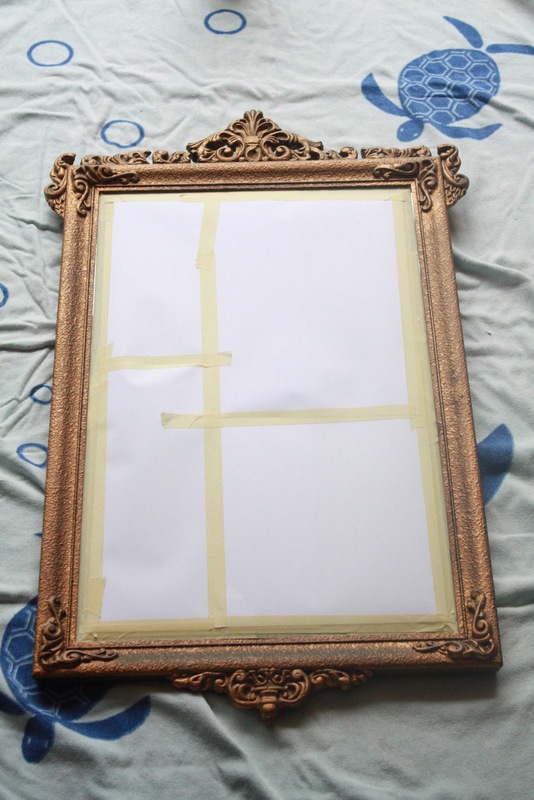 Gosh, that mirror looks amazing. I also am "change everything to white" gal - but rich charcoal is my accent. I am just about to spray a a mirror and might try a darker colour now - thanks for the inspiration! Well as for 'Make it Monday'. I love the idea....looking forward to lots of great beachy inspiration there. Second dark bits seem to be hitting the beaches lately. I think it is very tropical. My lovely friend with a new Walter Barda home has gone dark old wood and I tell you that home has the wow facto on steroids. Happy birthday to your 11 year old. Thank Heaven for Aussie boys....priceless. 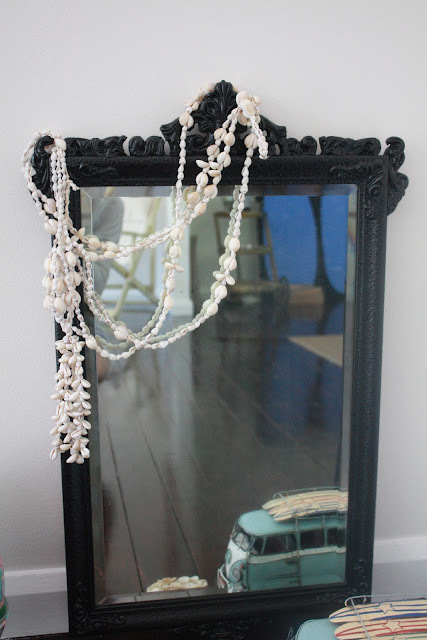 PS Love your beachy black mirror. I have a gold one I inherited from granny, but I feel bad about changing the colour from gold.....but after this maybe not. love your dark floorboards..will look great with white. the mirror looks lovely with the shells & i like the kombi van in there..my son has the small VW in his room. happy birthday to your boy! Happy Birthday S.!! And to you, proud mama of 3 gorgeous kids, I L.O.V.E. (to stay in your capitals) to have me some more of this make it Monday! The start of the week is looking good, thanks for doing this! (I assume your wifi is back?) Still can't believe I'm writing to you about tomorrow...you being in a different timezone is still weird....anyway, enjoy your lovely boy, he is getting big so quick, hugs for you all! Great idea! Looks fabulous and I love the dark floors too! Oh how I wish I had a beachy home. :) P.S. Love the VW van with the borads on top too! Your photos makes me dreaming the summer,the beaches and warm ! !Thanks for this! !Here we have very cold (-10 ) !!! 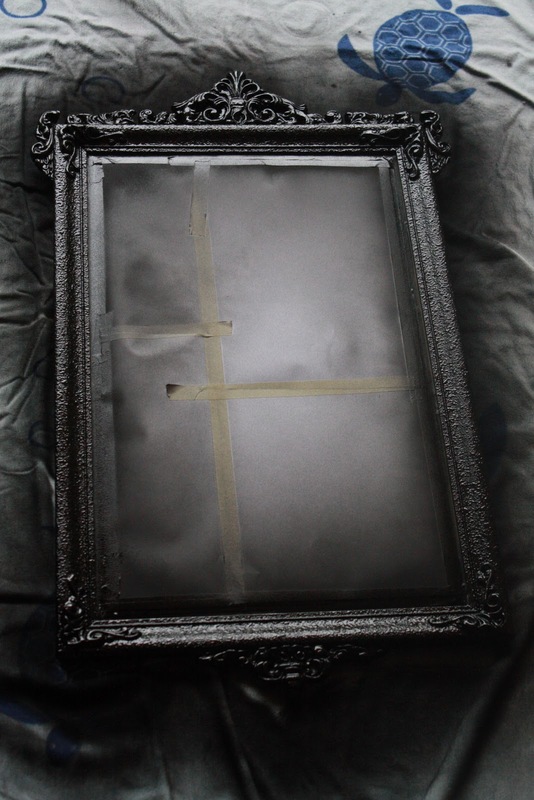 I have a pine mirror that I painted black... Should have waited for this post and got myself a spray! Anyway, enough about mirrors, I can't wait to meet this little puppy. How exciting. Love it Melissa! My hubbie bought me a gold mirror for Christmas...think Beauty and the Beast...not really my style at all, however he does know me well and after giving it to me he said, "You can paint it or do whatever with it you know!" So that, is what I shall do! Have been toying with the idea of either black or a grey blue colour. Thanks for the tip on fiddly bits...will definitely have a look-see! Loving the Make it Monday idea!! 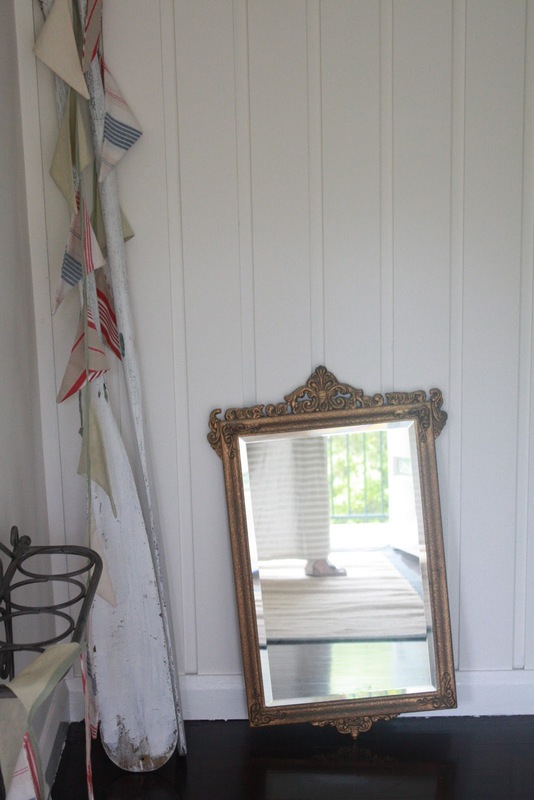 Love the upcycled mirror Melissa! So many good things come in a can......except for cheese, that's just wrong....but paint is awesome. I've also recently discovered acrylic sealer in a can which adds a final waterproof seal. Thinking of applying it to the kids & then just hosing them down at the end of the day. Your floors are magnificent. I just cant wait to see how the rest of the house unfolds....so far, so A.M.A.Z.I.N.G!! Looking forward to make it Monday's! 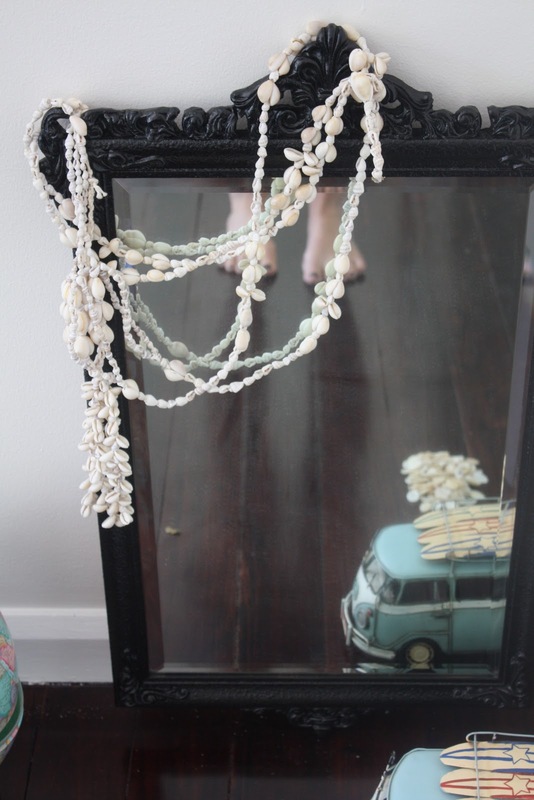 Love your beachy inspiration! Happy birthday to the big boy too! Dare I suggest that it was your time in a cosy country house in England which inspired your new, darker floors? White floorboards just don't make sense here!